While I was at the school today Walter Van Beirendonck was working very closely with the 4th year students on their final collection. Couldn’t you just imagine watching him on the students back instead of Tim Gunn! wow that sounds like the total opposite of parsons. i’m in the fashion department–i love it don’t get me wrong– but most of the time i am just lacking in sleep and look miserable. I love Antwerp! I think the USA should find that level of public awareness about the value of cutting edge fashion, design & art that is so Dutch, for the sake of being in the vanguard. It is sad to think that all the resources in America can not produce a city with such creative edge and dominance as Antwerp. Yeah NYC, San Francisco, even Minneapolis are great design centers… But there is something missing…the political responsibility towards design research and development perhaps…? When education is not a priority for governments, being in the vanguard becomes a matter of hope. Is that the fashion school on Nationalestraat that houses the great fashion museum? I love that building. And what you say about Antwerp is so true – nowhere else in the world can you find a museum crammed with Van Dycks and then deconstructionist fashion on the same city block. Wow that is so amazing! I totally agree. Fashion students overseas have the opportunity to receive more nurturing from key influential figures in fashion. Kim Jones, Bernhard Wilhelm, and Walter Van Beirendonck all contribute valuable advice to fashion schools overseas. Fashion students in America are only met with harsh criticism and discouragement from some washed up/jaded professors with an “I’ve got mine, now you get yours” mentality. All in all, it’s up to the individual to get the most out of their fashion school experience. Oh yeah and I’m so over Tim Gunn! 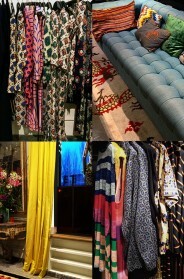 I adore Dries Van Noten! His clothes are exquisite. I just wish I could afford to buy them… sigh! I have a pair of delicately beaded Dries flats that I bought at Winners for $29.99. I think they made a mistake on the price. I would love to see photos of his Paris store. I think your blog is fantastic and inspirational. I have a small wish: I would love to see you feature a few more “average” sized women. I know there are chic ones out there who really know how to dress to flatter their womanly shape. … We maybe will have our cup of teas there instead of all the ¨kir¨i had in the bar next door during fashionweeks..
Nina Garcia would of had nothing to say. 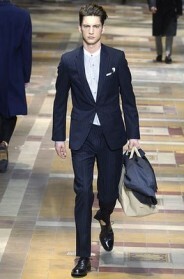 Dries Van Noten,… you lucky guy. Bring us back a suit. The van noten’s shop opened the 23 january. It is betwen rue Bonaparte and quai Malaquais. They are not menswear but a new shop will be open soon. Ah! and you must take a rendez vous for open the shop.